'Tis the season for holiday decorating! Before we get to Christmas, we have to show some respect for Halloween and Thanksgiving. 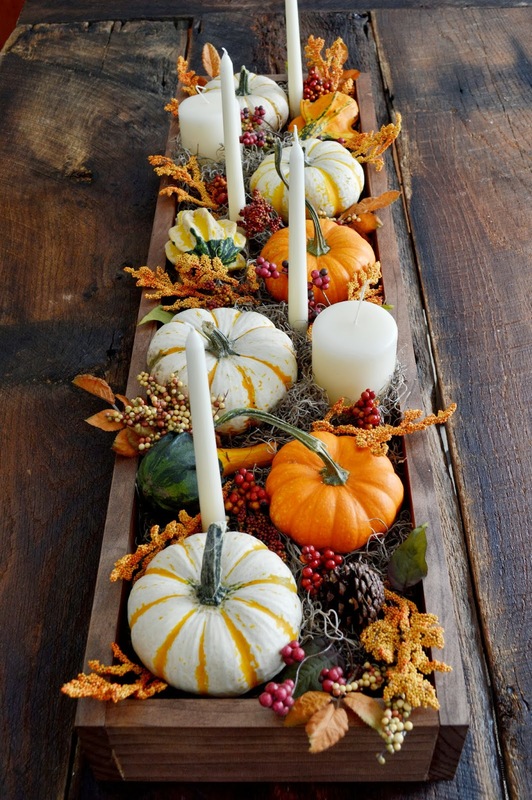 I like to decorate with fall-inspired things, rather than specific to either autumnal holiday, so I can go with one theme and leave it alone. This year I've put up pumpkins, gourds, and pine-cones that can last through October and November. 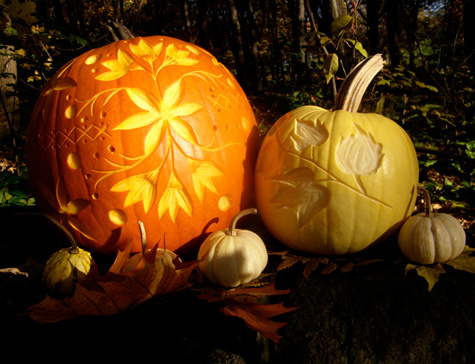 I went au naturel this year and left all my produce as-is, but wanted to pull together some of my favorite pumpkin decorating techniques at the moment. 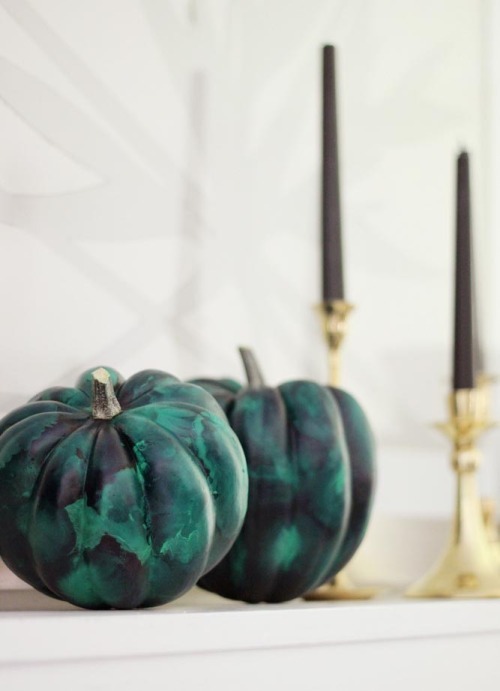 Malachite, along with tortoise shell, is one of my favorite finishes at the moment. These are so lovely! I love this idea. 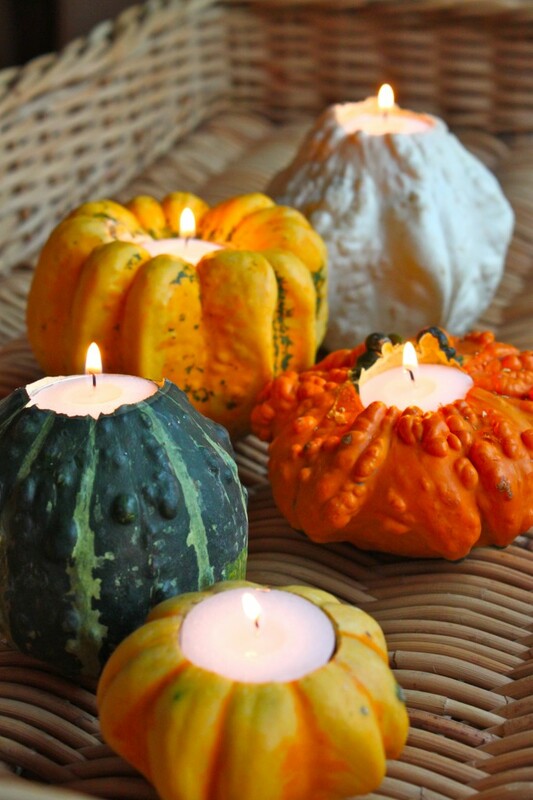 I already have my fall candle (Sweater Weather) and my gourds together on a teak tray, why not take it one step further? Succulents and pumpkins, two of my favorite things brought together. The best part? This project doesn't involve cutting into the pumpkin, and you use live succulents. 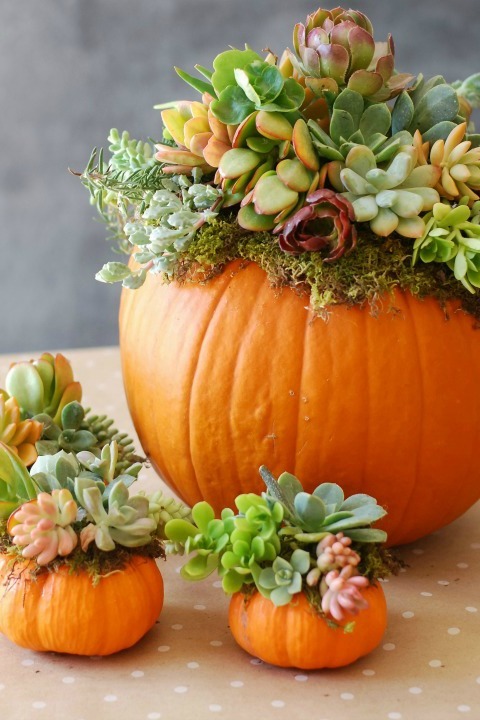 This means the arrangement lasts for months, and after the pumpkin deteriorates, just cut off the top layer (which the succulents will have rooted into) and move it to your garden or an indoor planter. Very well done post, check it out. Not much of a DIY, but still a beautiful centerpiece. A good deal of effort but a unique result with this shallow carve.